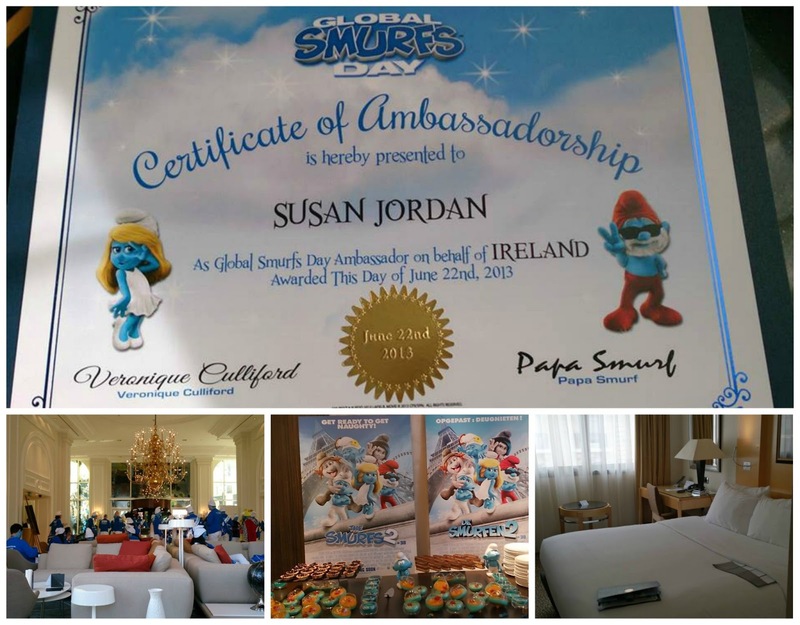 CherrySue, Doin' the Do: Global Smurfs Day 2013 - Smurf Log of an Irish Ambassador: Day Two! 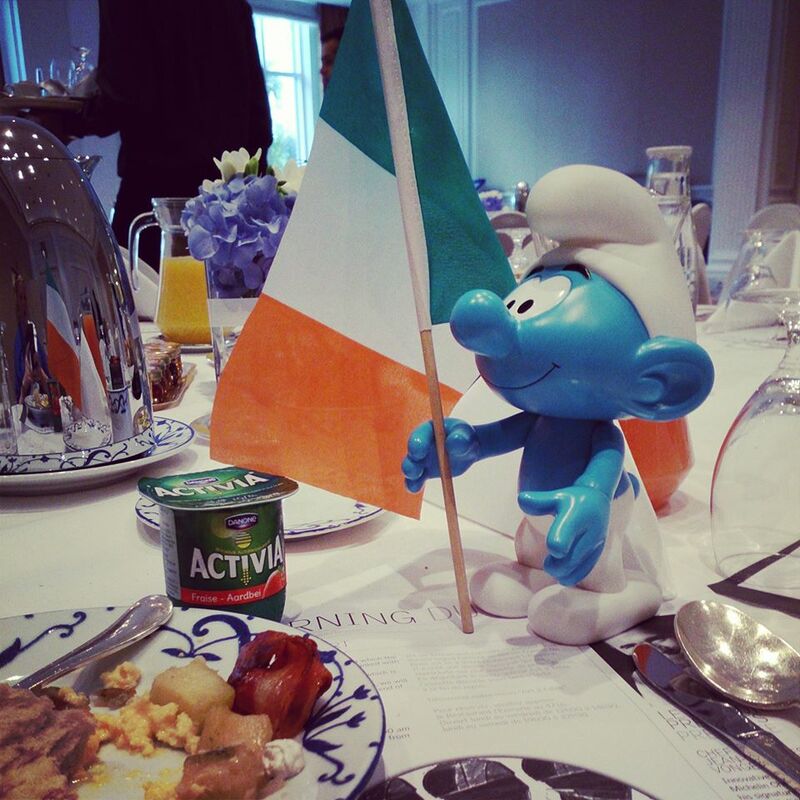 Global Smurfs Day 2013 - Smurf Log of an Irish Ambassador: Day Two! Welcome back for Smurf Log Day Two! 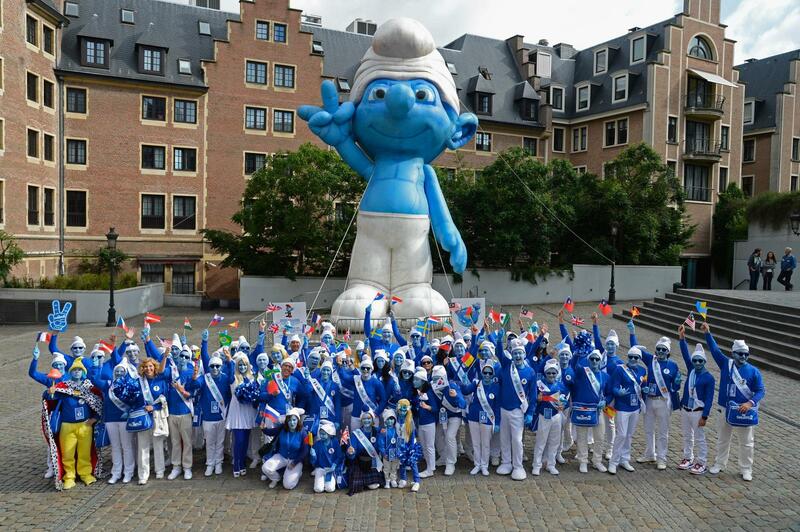 It was an early start on Global Smurfs Day with the alarm going off at 5.30am! The breakfast room was almost empty when I arrived so I can only imagine there was a blue uprising from 4am onward. Once brekkie had been scarfed it was time to get BLUE! 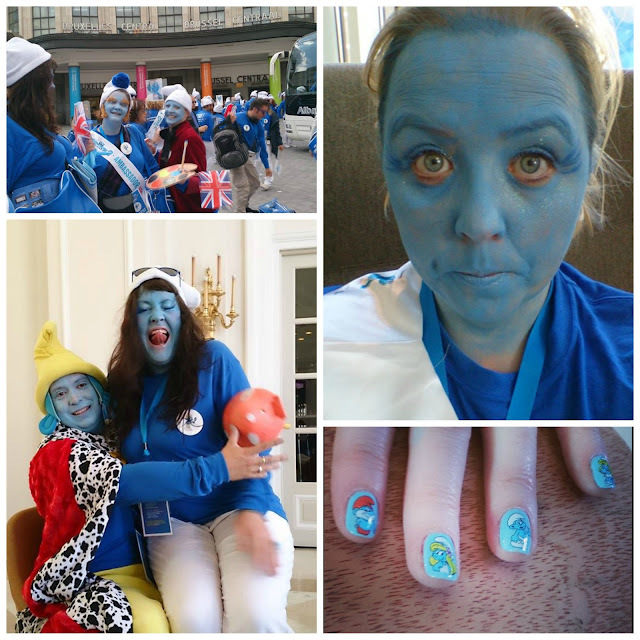 We're Blue dah dah dee dah dah dah!! 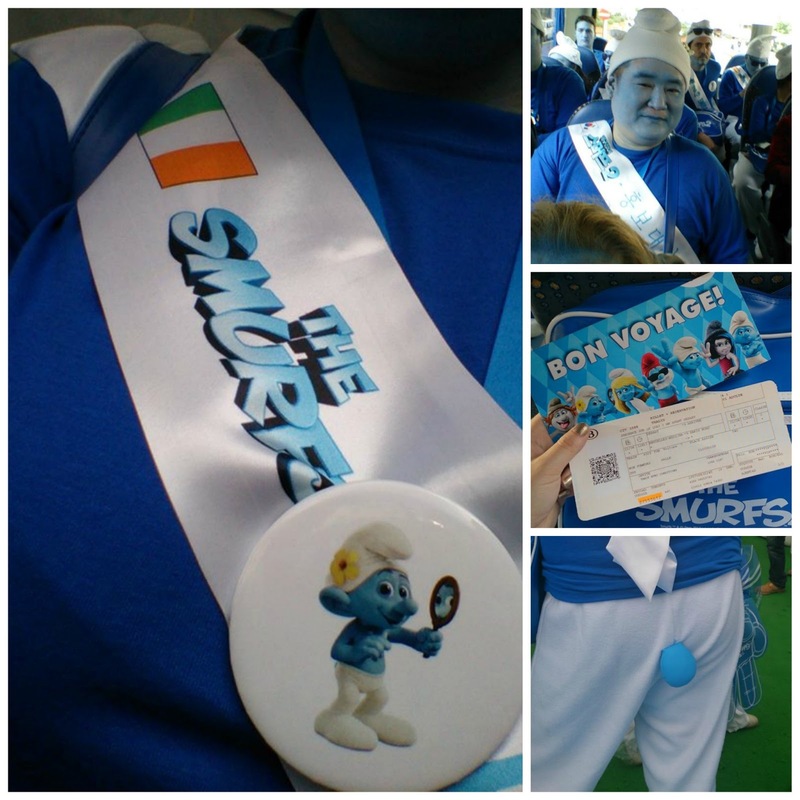 From every nook and cranny Smurfs emerged and I began to feel slightly less silly and really got into the swing of things. We assembled outside to meet the press (LOTS OF PRESS) and meet Peyo's daughter, granddaughter and the movies producer to be awarded with a certificate for representing each of our countries. 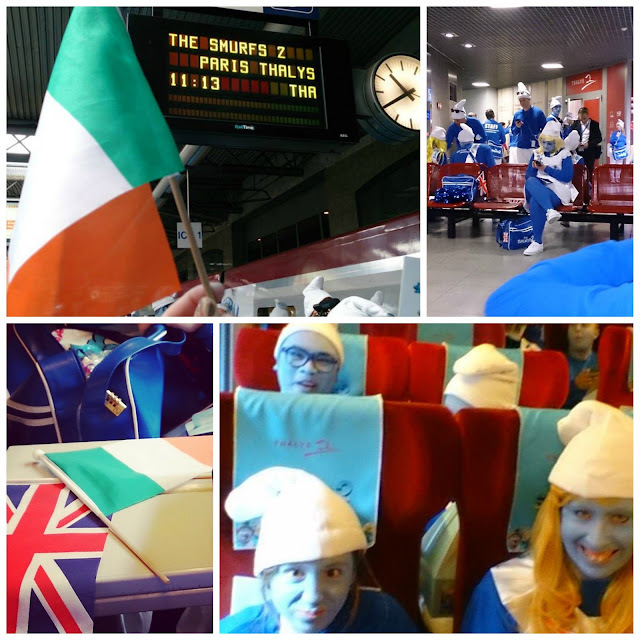 When everyone had gotten their assigned teams it was onto 4 coaches and toward the train station with us, the atmosphere was fantastic! Papa Smurf, Smurfette and several other assorted Smurfs were at the station to wave us off on the specially commissioned high speed (1.5 hours) train to Paris. As you can see from the photos, we did our own re-inaction of that famous Samuel L Jackson movie - Smurfs on a Train. As soon as we arrived at Gare du Nord it was on to three open top buses and a bajillion circles around Parisian streets en route to the Eiffel Tower reception. During this Griswald-esque journey I learned two things 1. Blue face paint is not waterproof and 2. 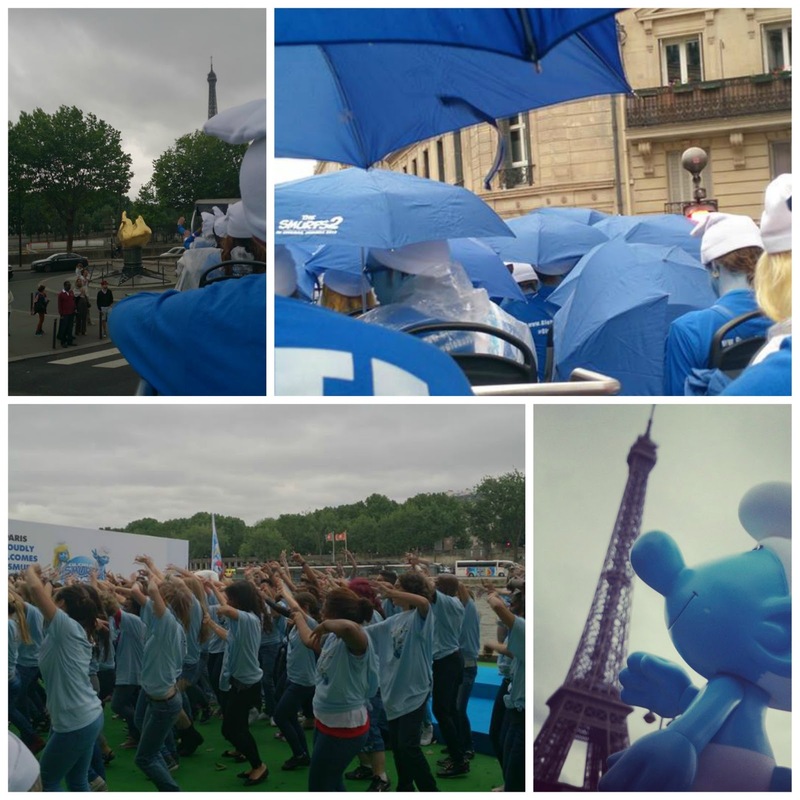 No matter how crappy your French day is going, it's impossible not to laugh and wave at a bus load of Smurfs. Good times. After being treated to an overwhelming reception at the Eiffel Tower, including (what felt like) 67 Flash Mob routines, we were off marching up the Trocadero for a further 67 thousand photos and puzzled looks. We were in it together. All back onto the buses after roughly 2 hours and it was off to Notre Dame to bewilder several thousand more Parisians and tourists. It has to be mentioned that there were some serious, I mean SERIOUS fans of the Smurfs on our trip. They collected every shred of Smurf related paraphernalia as we went, including train dust covers, peoples' lunch boxes and BAGS of sweeties and drinks - basically everything that was blue & wasn't nailed down. It. Were. Lunacy! I've never been happier to see a hotel in my entire life!! All in all I can safely say the Ambassador experience was nothing like I've ever endured enjoyed before. Sony were right on the ball at every turn and I can only imagine the final footage will knock our socks off. I did however spend Sunday on the Champs Elysee and several hours in Sephora, which kinda made up for it a little. I'll totally be showing you my stash from there very soon! 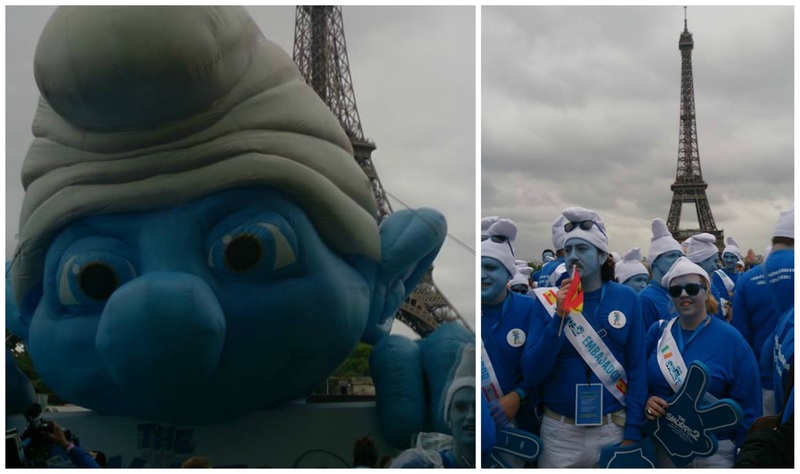 Global Smurfs Day though? Would I do it again? Can you spot the Irish flag?